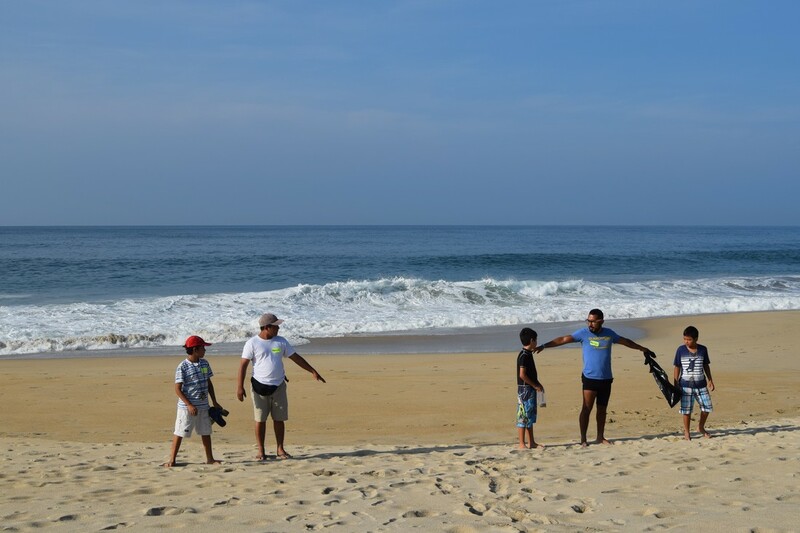 Mexico joined Sandwatch in February 2016, starting its activities in Bacocho and Coral Beach located in the municipality of San Pedro Mixtepec, Oaxaca. This Program is included as part of the Work Program of the Clean Beaches Committee linked to the Certification of Bacocho Beach according to the national standard NMX-AA-120-SCFI-2006. 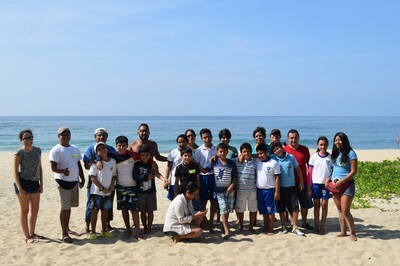 This program is part of the Coordination Agreement signed on February 15, 2016 between "LA CONAGUA", "EL ESTADO DE OAXACA", "SAN PEDRO MIXTEPEC", "ADMINISTRADORA VILLASOL", "RADIO ANTEQUERA" and "LA VENTANA A.C." who decide to coordinate efforts in order to bring together and promote actions and resources to influence integrated water resources management within the Clean Beaches Committee of the Municipality of San Pedro Mixtepec, auxiliary organ of the Basin Council of the Oaxaca Coast, through the strengthening of its Operational Management. The schools that joined the start of this program are: Benjamin Bloom, Juan Rulfo, Calmecac and CONALEP No. 158, with whom have worked to date various trainings with teachers and periodic monitoring with students, which are held on the first Saturdays of each month. At present, the participants have worked on the different tools for measuring beach parameters. The next phase corresponds to the analysis of the data collected to finally reach the stage of proposal and take of actions, wich wil be taking place this year. 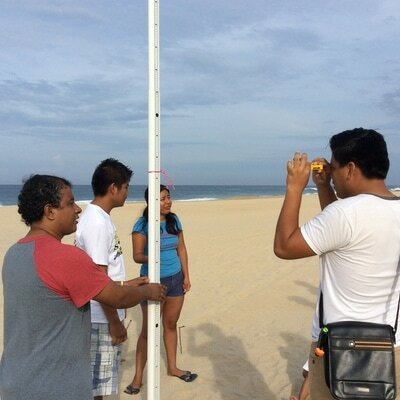 It is important to recognize that this project fulfills a dual function, since in addition to educating about the importance of our marine and coastal resources, it is a data source that can be used by the resource managers. In this case, the responsibility of maintaining Bacocho Beach as a Certified Beach, implies an important challenge, which requires the active and informed participation of the community. With this in mind, the Sandwatch Program can play a relevant role in providing information required by the standard NMX-AA-120-SCFI-2006 that, in addition, helps timely decision-making in favor of conservation of present natural resources, improve water resource management at the local level and join efforts to maintain the certification of Bacocho Beach. 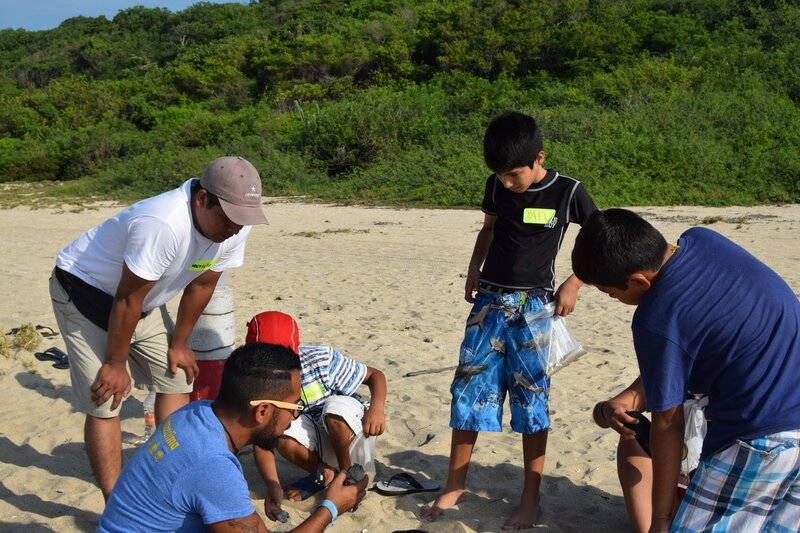 It is important to remember that the main purpose of the Sandwatch Project is to encourage teachers, students and the community at large to work together in favor of marine and coastal resources. 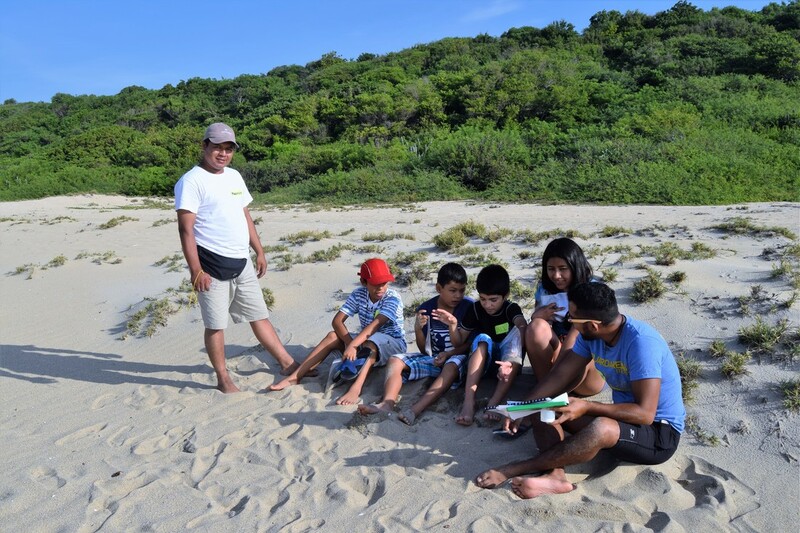 To that end, it seeks to analyze the results obtained from the monitoring, to propose actions to be taken to counteract the effects of climate change observed on the different actors in the community who can and should act to counteract them. 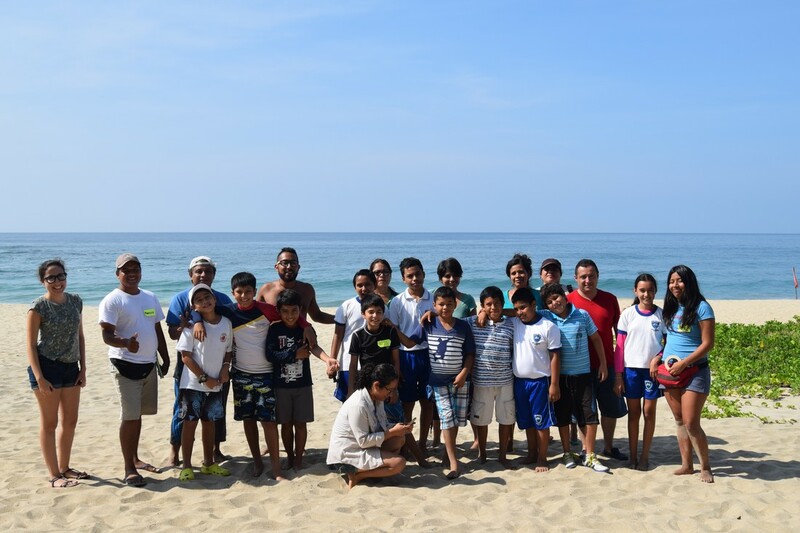 Considering that the Clean Beaches Committee of the Municipality of San Pedro Mixtepec is a space to encourage organized society, state governments and the federation to participate in decision-making and implementation of actions for better management of water resources. 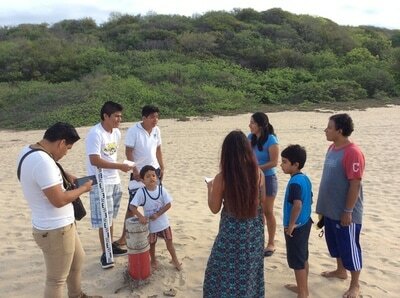 We can think that it will be an ideal place for the Sandwatchers to present the results of their observations and analysis, as well as their proposals for action in search of sustainable development that impact the municipality and especially the beautiful tourist destination of Puerto Escondido in the Coast of Oaxaca.